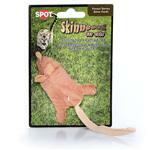 Toys encourage playful physical activities and keep your cat both happy and healthy. Much like a human child, cats are prone to boredom which can eventually encourage them to cause mischief around the house. As a pet parent, you need to buy interactive cat toys that channel that energy away from your furniture or your expensive shoes. 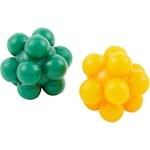 There are tons of great toys such as cat balls and cat chew toys available in the market. However, you need to make sure the toys you buy are safe for your feline buddy. Avoid buying products that may be made from toxic materials or are small enough to be choking hazards. This is exactly why it's a good idea to trust only the reputed pet care brands. 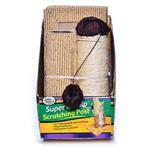 At PetCareRx, we feature a long list of amazingly fun yet safe toys. 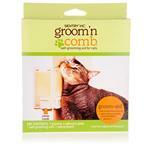 We have a dedicated page for cat toys which include plush toys, ropes, chew toys, balls, and much more. We ensure all the featured toy products are manufactured by trusted pet care companies so that you never have to worry about safety. You can also get involved in the fun by buying fetching toys and tug toys. We sincerely believe that a cat that gets regular physical activity lives a long and happy life.